Little Mix have hit back at critics who say they dress ‘too provocatively’ on stage. 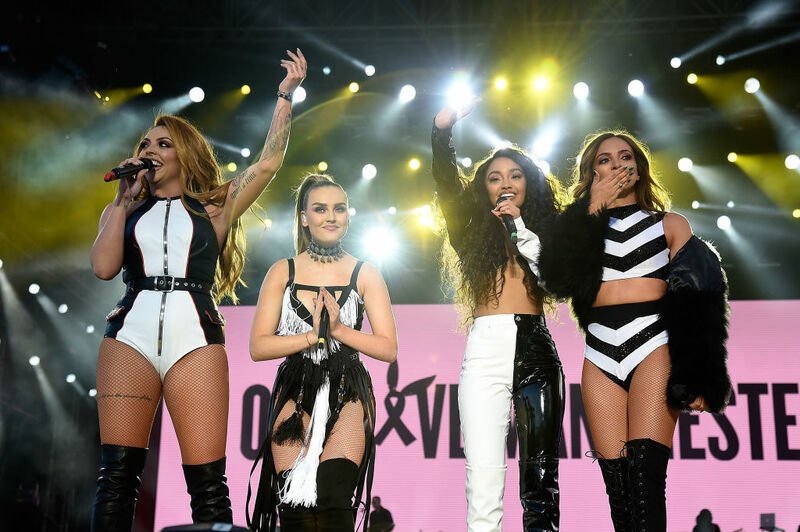 The X-Factor-winning girl group have been criticised time and time again for their revealing stage outfits, most recently at the One Love Manchester tribute concert last Sunday. But the group have continued to do what they do without plans to change their style any time soon – and why should they? We wear what we wear and we love it. We’re confident in ourselves and I think that should be praised. We are who we are and as long as we’re comfortable and happy, that’s all that matters. Those Little mix revealing outfits are getting more and more boring, try a bit more clothing and focus on the talent you possess ladies! #WomenWhoHaveInspiredMe @LittleMix for fighting back against body criticism and revealing outfits and OWNING their looks?????? There are definitely worse role models out there, so you keep doing you, girls!